It “goes with the territory” that as advisors to companies on currency and interest rate risks we are often asked for our view on personal financial and investment matters from the corporate people we deal with. Providing personal financial and investment advice is not our game, so we politely decline to provide specific advice. However, a question from a South Island client recently on investment options for the family funds in the fixed interest arena posed an interesting dilemma. Sick of receiving 3% from bank deposits, the question was raised as to whether it was a good time or not to invest into a local fixed interest managed fund. Fixed interest managed funds produced quite spectacular returns for investors a few years back when long-term market interest rates were plummeting after the GFC and marked-to-market revaluation gains on the bonds held were always positive. However, today if the view is that long-term interest rates are not going to reduce any further and there is a significant risk that our Government and Corporate Bond yields will move higher through following the US 10-year Treasury Bond yields higher, then investing in a fixed interest fund at this time may not be a very smart idea (i.e. negative returns through marked-to-market revaluation losses as yields move upward – bond prices downwards). The fixed interest fund managers may be shortening-up the duration of their portfolios to minimise the impact of rising interest rates, however the future yield returns still do not seem that attractive. To make their fixed interest funds more attractive from a return perspective in this interest rate market environment, some local fund managers offer a hybrid fund of say 60% bonds and 40% equities (largely comprising dividend yield stocks). The issue for the conservative South Island family investing their money is do they want to take on equity market risk at this time. The wildcard that is President Donald Trump is causing havoc with investor sentiment. When the value of the hybrid fund can go south (thus negative returns) from a Wall Street melt-down, it does not really fit the risk/return criteria wanted from investing in fixed interest securities. Of course, these hybrid funds have enjoyed great returns over recent years as the equity component has performed very well. No guarantee that these positive returns will continue if a major correction downwards in equity markets is closer today than at any time in recent years. The alternative fixed interest investment to bank deposits is local corporate bonds. They provide an enhanced yield return over and above NZ Government Bond yields. The interest rate margin (or credit spread) above the Government bond or swap interest rate curve depends on the term of the bonds and credit rating of the corporate issuer. The difference for an individual investing in a corporate bond, as opposed to a bond fund, is that the investment is made on a “hold to maturity” basis i.e. no marked-to-market revaluation gains or losses to worry about. The investor just needs to know that if they want to withdraw the funds early before the maturity date of the bond, there is an interest rate risk if market interest rates have increased from the time of investment until redemption date i.e. a revaluation loss. “Holding to maturity”, means exactly that, otherwise the risk profile changes. Most corporate bonds are listed on the NZDX market. Right now Investore Property Limited is offering a new issue of 4.40% pa for a six-year bond. 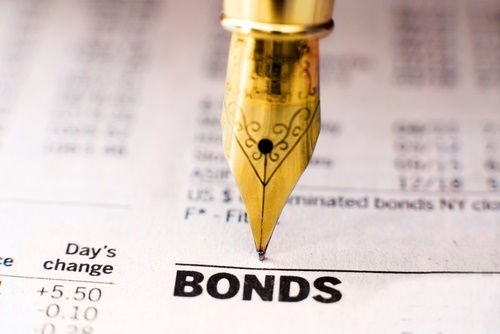 Investing into existing bonds traded on the secondary market is also possible. A Fonterra bond with five years to maturity is offering 3.60% pa. It cannot be too far away until some bright spark marries up corporate bond issuers and retail investors so that they can borrow and lend to each other through a click of a button.